Let's say you're in New York flying out of LGA at 6:00 PM. Your flight gets cancelled and the next earliest flight is 11:00 AM tomorrow! You're in a bit of pickle and don't know where to get dinner or what you’re even craving. Thankfully the Crave Quiz can help! 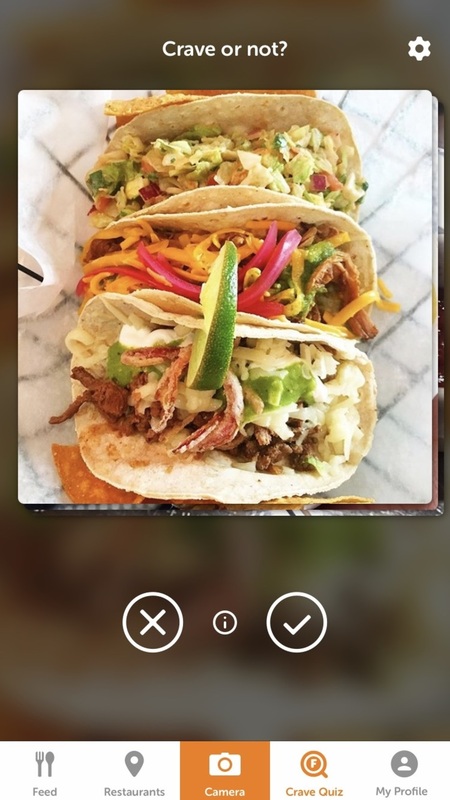 The quiz is designed to guide you towards pinpointing your cravings by presenting a sequential series of drool-worthy food photos, allowing you to swipe “right for yes”, “left for no”, all while the algorithm interprets your reaction. This algorithm is able to measure user feedback to embedded ‘tags’ to identify what you currently crave, and where to find it, within your preferred distance radius. Think of it as an intelligent “Tinder-of-food” ! 2 - You're scrolling through instagram but all of the food pics are of dishes that are served hundreds of miles away! As much as I want to see how delicious your pizza looked from when you studied abroad in Rome or how great the tacos look from your vacation in Mexico, I really just want to see endless pictures of food that I can actually go out and eat. The Foodfaves discover tab is just that and is every food-obsessed person’s dream. It contains endless photos of delicious dishes, tailored to your taste, all available in your area and organized by how close the restaurant is to your current location. No more pics of Cabo for me! 3 - Can't remember that one special dish your friend told you about? Just kidding -- : ) Now you don't have to worry. 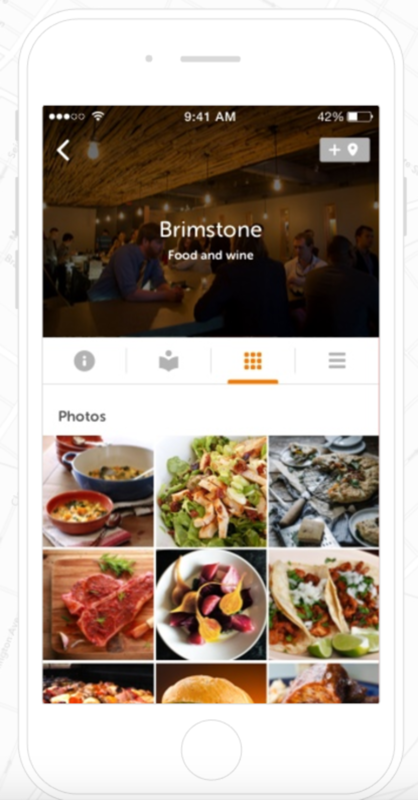 By using Foodfaves profile feature, you can save pictures of your favorite dishes as well as restaurants you hope to try. When you create your own profile, you set up and save your personal food preferences. 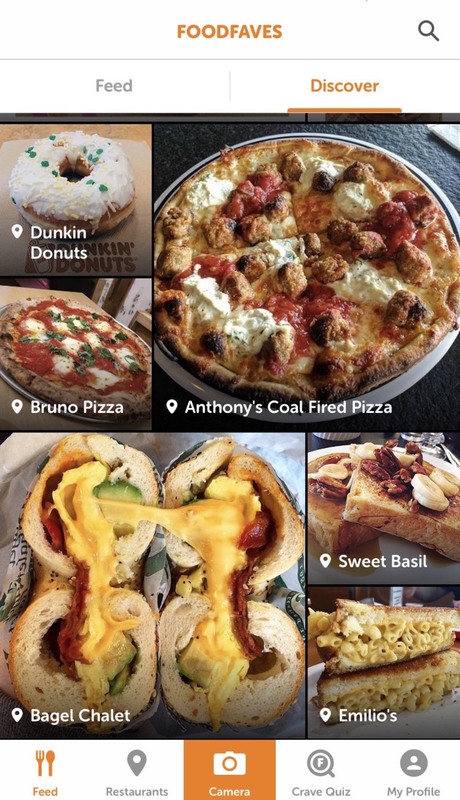 You can start uploading and tagging all of the delicious food photos you wish to share and start following other users and view their photos. Every food photo is tagged with the restaurant of where it was taken and can be seen on the restaurant profiles as you check out your local eateries on Foodfaves. This one is a classic. Strolling down 5th ave and a bear pops out at you. You start running and the bear starts chasing, but you realize you haven't eaten lunch. 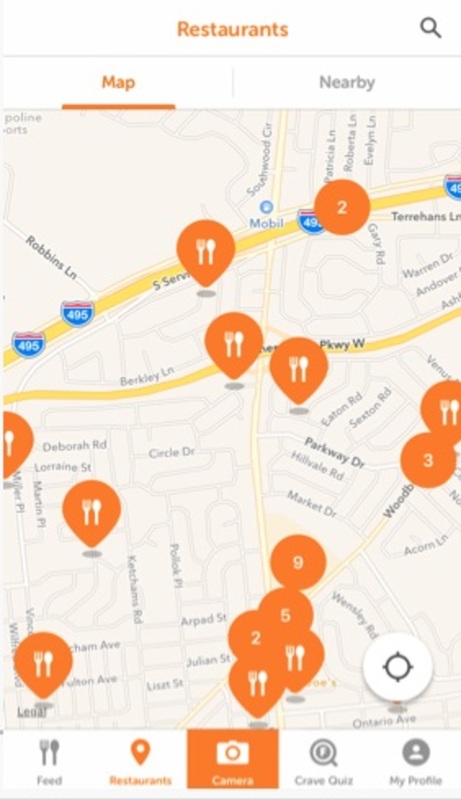 You pull up the Foodfaves app and can instantly find the closest restaurants to your location by using the Map features. In this particular high pressure scenario, the “Nearby” tab can help as it offers a list of restaurants that are around you, starting with the closest restaurant to your current location. Once you find the closest place (with the best looking food of course), you can hop in, narrowly escaping the bear. Close call. Thank me later.